Fun Tabletop Presentation Today in Dallas at Polycon 2017! 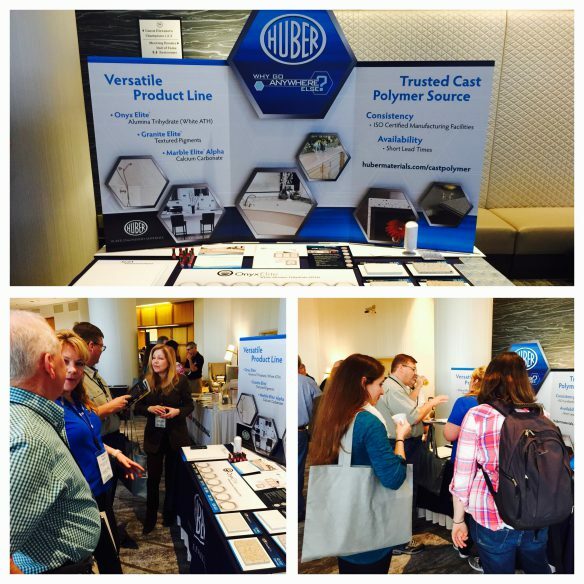 We’re enjoying a busy day in Dallas, Texas, meeting with attendees while exhibiting with a tabletop presentation at Polycon 2017, sponsored by the International Cast Polymer Association (ICPA). We’re discussing our vast array of Cast Polymer Performance Materials. Specifically, we’re talking about our Marble Elite® Alpha calcium carbonate, Onyx Elite® alumina trihydrate (ATH) and Granite Elite® ATH textured pigments. Our Cast Polymer Performance Materials are primarily used to manufacture cultured granite and marble along with solid surfaces in the production of kitchen and bath surfacing materials and shapes including sinks, bowls, bathtubs and shower bases. Our brands offer luxurious and timeless contemporary elegance and are known for their translucence, exceptional color and color consistency. We invite you to Contact Us for more information or Request Samples for your next project. Busy Week Out and About at Topcon and Polycon 2017! This week we have the privilege first to be at SPE Topcon in Scottsdale, Arizona and then travel over to Polycon 2017 in Dallas. 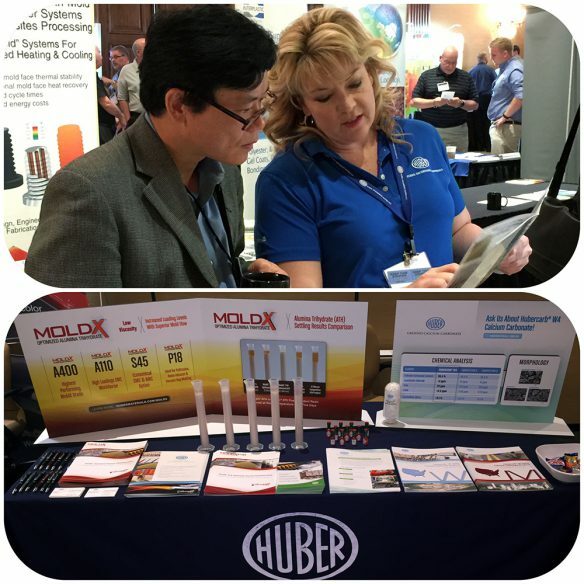 Today and tomorrow, we’re at Topcon talking about our MoldX® optimized alumina trihdyrate (ATH) grades and Hubercarb® W4 calcium carbonate. On Thursday, we venture to Dallas for Polycon to promote our vast array of cast polymer performance materials. Two great conferences and venues offering us wonderful opportunities to meet attendees in casual, intimate settings. We look forward to meeting with you as our annual road show at various trade show events and conferences is now in full swing for 2017. 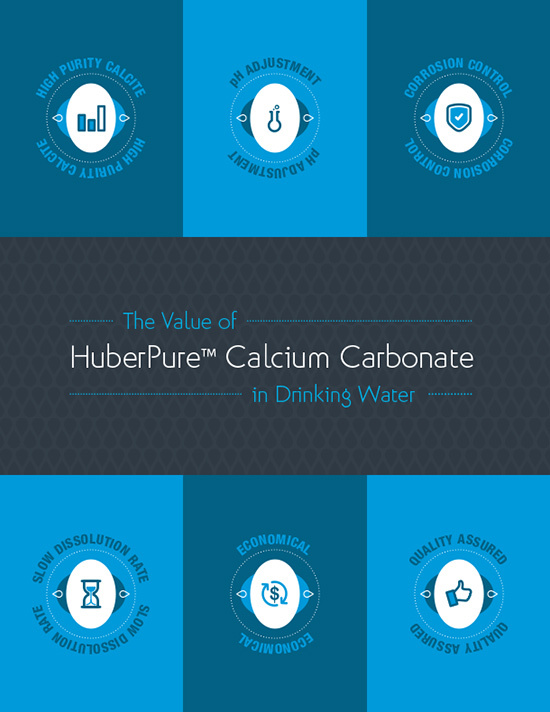 Our HuberPure™ Calcium Carbonate — Your Ideal Calcite for Water Treatment! Our HuberPure™ calcium carbonate is mined from a world-class deposit of crushed and screened white calcite marble in Marble Hill, Georgia, and has a number of water-related application possibilities. The six HuberPure grades we offer contain properties making them safe in pH adjustment, corrosion control and remineralization of reverse osmosis systems. Each HuberPure product is listed under NSF® / ANSI® Standard 60 for Drinking Water Treatment Chemicals. For more information, contact us or click here. For direct info on our six high performing HuberPure products, click on the Product Finder below.